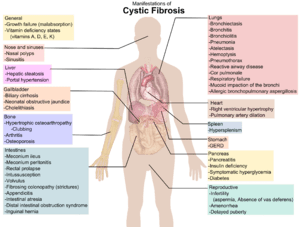 Cystic fibrosis (CF) is the most common genetically inherited disease amongst Caucasian populations. It is said that 1 in 25 individuals carry one copy of the affected gene, and 1 in ~3000 newborns is affected by CF. The disease disrupts many organ functions, especially lungs, where chronic bacterial infections often lead to respiratory failure and death. CF patients may also suffer from the inability to properly digest food due to the lack of digestive enzymes, as well as experiencing intestinal blockages. Painkiller Tylenol (paracetamol) -- What is it, really? Something About Science · Science news and Q&A's for everyone!